Nellie graduated with honors from Oklahoma City University with a Bachelor of Performing Arts degree. Nellie has performed nationally and internationally in multiple productions from being the lead singer of the Whoa Nellie, Country Rock band, touring with the Ultimate Elvis Tribute Artist Event and Carnival Cruise Lines, as well as being featured in Discoveryland's production of "Oklahoma" and Tony n Tina’s Wedding. Nellie has also portrayed Cyndi Lauper, Cher, Reba McIntire, Loretta Lynn, and Minnie Pearl and is a recipient of the Newcomer of the Year in Las Vegas. Francesca trained at the Guildford School of Acting in Guildford, Surrey, England, on the musical theater track, where she performed in various musicals and plays. She has also starred in multiple television and film productions, including the award-winning short film Fish. 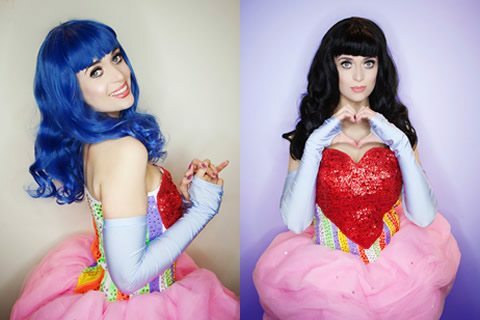 As a huge fan, prior to joining Rock-A-Hula, Francesca developed her own tribute show for Katy Perry, in which she performed the star’s popular hits and designed replica costumes.